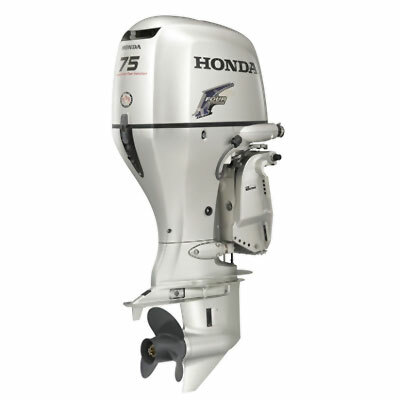 Honda's 75HP EFI engines are perfect for pontoons, aluminum fishing boats and bay boats. The new Blast™ system will surprise you with a quick take-off that gets the hull up on plane quickly. Proven Honda engineering delivers power to spare, but with 20% less fuel, thanks to our exclusive lean burn technology. This engine is also a champ when it comes to battery charging capability. Honda's exclusive neodymium magnet flywheel alternator cranks out a whopping 35 amps! The 75HP is based on the same engine that powers Honda's popular Fit automobiles. So you know you can expect long term durability and clean, quiet operation.